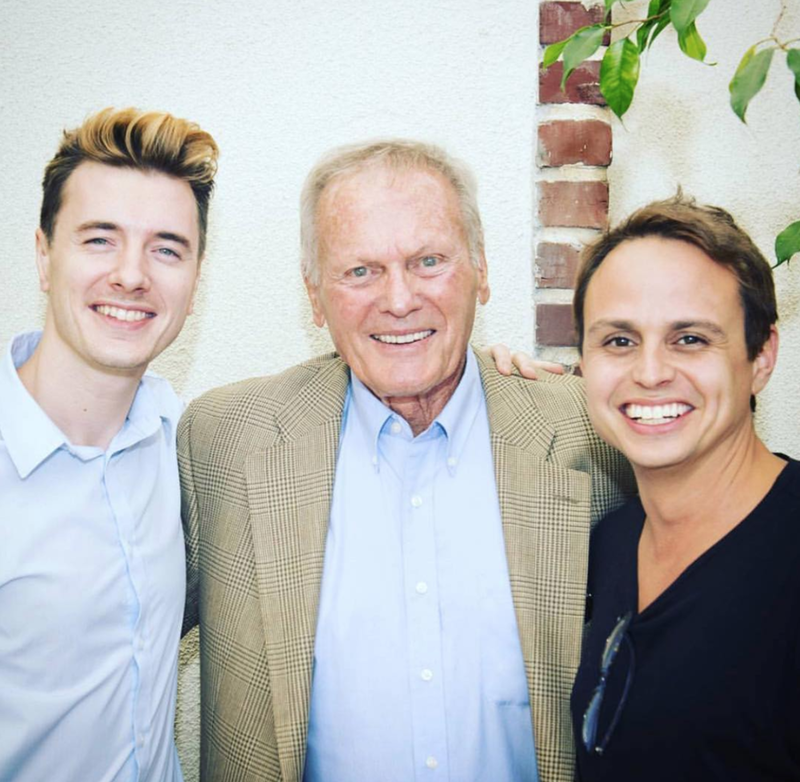 This is a photo of my husband and me with heartthrob Tab Hunter in 2016. Hunter had been with his partner, Allan Glaser, for 35 years when he passed away yesterday, July 8. “We were walking home, and he collapsed in my arms in our front yard," said Glaser. "He said he couldn’t breathe, so I called 911, and we went to the hospital . . . This was sudden and unexpected.” A blood clot caused Hunter to go into cardiac arrest. I hope Glaser finds a little peace in knowing that his and Hunter's relationship has been an inspiration to us. I hope I'm lucky enough to get to spend 35 years with my husband.